Luke 2:52 says “And Jesus grew in wisdom and stature, and in favor with God and man.” There is no one in this world who has helped me grow to be a Christian man, husband, and father more than my mother. As I think over that verse in light of Mother’s Day, I appreciate a mother’s role in the growth of her children more than ever. I, for one, am blessed to be surrounded by a loving group of mothers. My wife is an amazing mother, and my daughter too, as she walks in the footsteps of faith and love that she witnessed from her mom. But this post is about another mother today – my sweet mama. 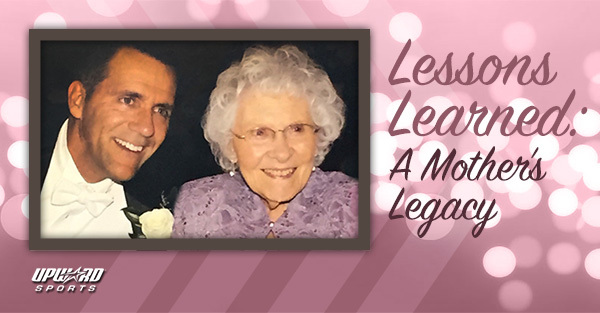 Our family went through many highs and lows, but through it all, one thing never wavered—my mother’s faith. My mom depended on God for everything. She read the Bible on a daily basis, looked to it for wisdom in all her decisions, and was prayerful in every situation. Even in the face of tragedy, she was steadfast in her faith. When my dad was diagnosed with cancer, the first words my mom said to me were, “Anything that causes us to pray and come closer to God is good.” She was not afraid of death because she knew it was not the end, that Jesus conquered death. As she neared the end of her life on earth, she shared with me that she was ready to go to heaven— she was ready to be home. She longed to be in the arms of Jesus. My mama was always concerned about those around her. She made sure to share the love of Christ with everyone who she came in contact with, so each person would have the chance to experience the love she knew… even up until the day she took her very last breath. She poured that love into me and provided me with great life lessons from her personal experience. She always encouraged me to be more intentional about letting others see Jesus in me, praising the Lord for every circumstance – good or bad, and sharing his name with those who are searching for the truth every day of my life. What a challenge she left me with! But, that just speaks to the kind of woman she was. Today, we celebrate ALL the women who love, nurture, and act as positive role models for their children as they grow in wisdom and stature. We know that as moms of athletes, you balance schedules and sacrifice time and money, all for the joy of watching your child play, succeed, and have fun. Thank you so much for all you do in building young men and women of strong character and faith. You are making a difference!